The U.S. Department of Justice (DOJ) announced mid-March that a dentist based in Los Angeles has been charged with conducting an identity theft and health care fraud scheme. Benjamin Rosenberg, D.D.S., 58, faces six counts of health care fraud and two counts of aggravated identity theft. According to the unsealed court documents, Rosenberg allegedly billed a number of insurance companies for dental procedures he never actually provided. Rosenberg would bill insurance companies using patients’ personal identification information without their consent. One of the insurer’s Rosenberg allegedly defrauded was Denti-Cal, a Medicaid-funded dental program. Are you aware of a dental fraud scheme? Call a San Francisco health care fraud lawyer at Brod Law Firm to discuss your situation and possible legal options. For every count of health care fraud, Rosenberg faces up to 10 years in prison. Identity theft may be penalized with up to 15 years in prison. If Rosenberg is convicted on all counts and sentenced to the maximum penalty for each, he faces 90 years in prison. However, terms of incarceration are often less than the maximum penalty, and Rosenberg could be sentenced to far less time in prison. Rosenberg also faces financial penalties, including fines, civil forfeiture of funds and property, and restitution. Rosenberg is hardly the first dentist to face charges for alleged fraud schemes. At least four other dentists were charged with fraud in 2017. As recently as December, a Virginia-based dentist pleaded guilty to a fraudulent overbilling scheme. Maryam E. Zarei, 47, conducted a scheme for four years, enabling her to illegally obtain $783,000 from Medicaid and four other dental insurers. She billed for procedures never performed, back-dated certain invoices, and billed using inappropriate billing codes to increase reimbursements. Overbilling and other unlawful billing practices are common fraud schemes for medical professionals and dentists. However, another illegal scheme dentists may use is to inappropriately prescribe opioids for a financial benefit. Are You Aware of a Dentist Committing Health Care Fraud? 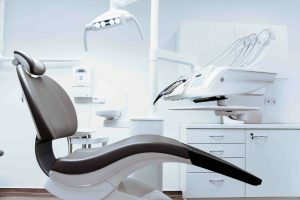 If you are aware that a dentist is unlawfully billing insurance companies or a government dental program, you should speak with a San Francisco health care fraud lawyer. Depending on the information and documentation you have, your lawyer may advise that you speak to state or federal authorities. Many health care situations are investigated by the Federal Bureau of Investigations and the Medicare Fraud Strike Force, which is a joint effort between the DOJ and Department of Health and Human Services. If the dentist is defrauding the California or federal government, then you may have the right to file a qui tam suit. This means that you file a False Claims Act case against the dentist on behalf of the government. A qui tam case is secret and only the government is notified, giving it the chance to investigate your claims. Based on the investigation, the government may or may not join the case. Even if the government does not join, if your information leads to a settlement or jury award benefiting the government, then you will receive a part of the compensation. To learn discuss your rights and options when you are aware of dental fraud, call Brod Law Firm today.